For my first book for spiritual reading this semester, I decided to read a classic called He Leadeth Me. It’s a short book, only about 200 pages, and it details the life of a Jesuit priest who decided to go to the Soviet Union in the 1940’s to minister to the people who lived there. He was quickly arrested and thrown into prison where he spent 5 years in solitary confinement. He underwent a mock trial and was sentenced to 15 years of hard labor in Siberia. He was finally released in October 1963. As the title indicates, he spent a lot of his time trusting in God, and leaving whatever happened to him up to God’s providence. This is often easier said then done. I began this new school year in transition. After spending my first summer in a parish, I began First Theology at Saint Joseph’s Seminary in Yonkers, NY. It was quite a different experience then what I was used to at Seton Hall. The first few days it was easy to get caught up in all the changes, meeting new people, and getting acclimated to a new environment. 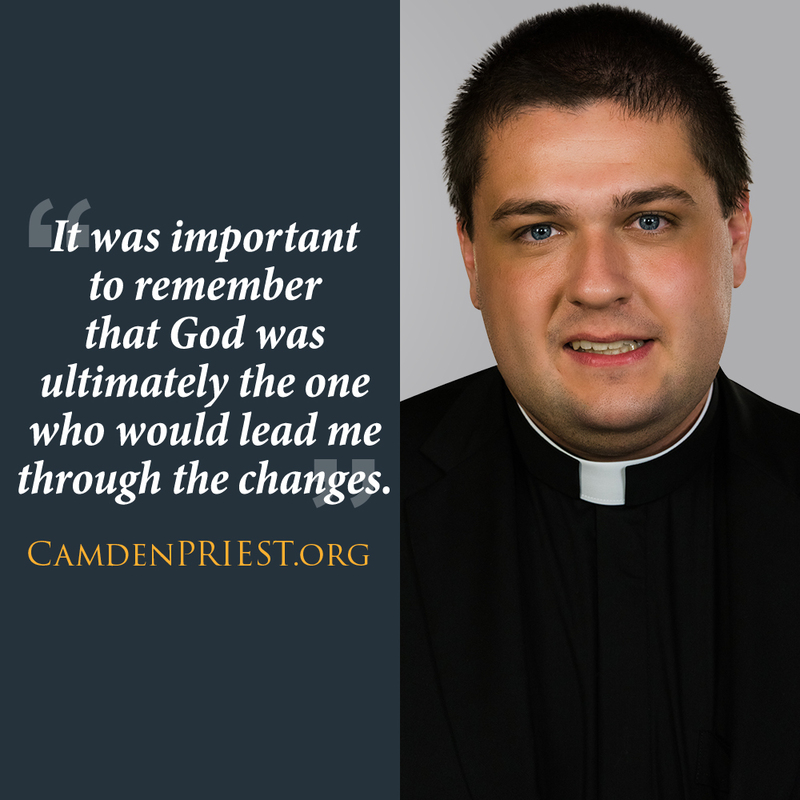 Among all this, it was important to remember that God was ultimately the one who would lead me through the changes. Just as the priest in the book, Father Walter Ciszek, trusted God to help him though Siberian camps, I needed to trust God that I would get acquainted with this new setting for formation, which I definitely have done. (My situation was certain nothing like the Siberian camps!). In life, changes always happen. Whether it’s a change of job, home, or school, these changes are always going to bring about nerves and uncertainty. It’s important to remember in these moments though that God leads us, He walks with us in these times, and that he sustains us with His grace.